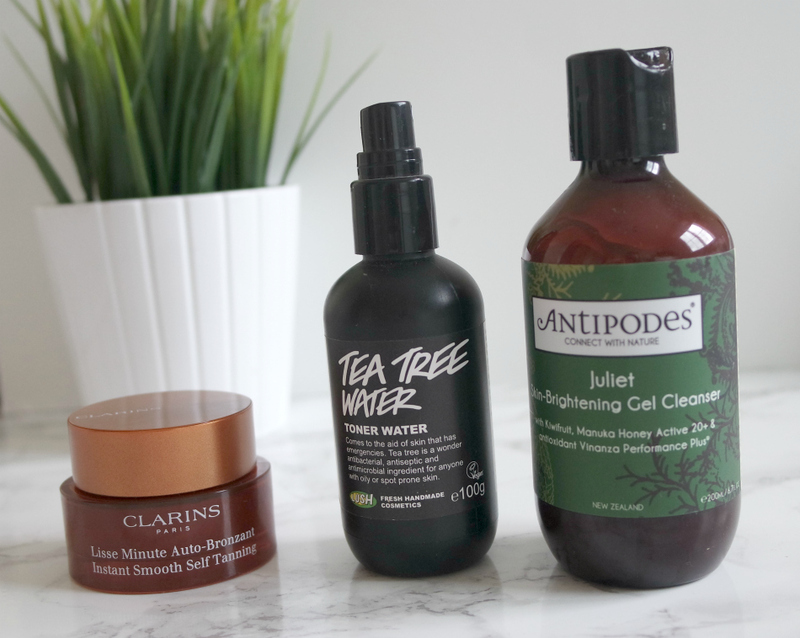 I'm obsessed with the Antipodes Juliet Skin Brightening Gel Cleanser - I've used it every morning since I received a sample about a month ago and I'm not even half way through the bottle yet! It rubs in so easily and makes my skin feel so soft and definitely seems to have added a bit of radiance to my skin which had been looking v. dull earlier on in the year. It's the perfect wake up call and I'll definitely be using this for the foreseeable future as my face is loving it. The Lush Tea Tree Toner Water is one of my favourite ever skincare products but I often forget about it during Winter as my main concerns tend to be dry/dullness rather than oiliness and spots. But my skin gets a lot greasier during Summer and this baby is the best at helping with that - it's such a refreshing product and is so easy to use. You literally just spritz some on your face before moisturising and the tea tree helps to keep any pesky spots or oiliness at bay. This product was one that I was really not sure about - the Clarins Instant Smooth Self Tan. The name itself would lead you to think that all this product does is tan your face. But I'd say it's much more of a primer with an added hint of colour. I use this almost every day as it gives me such a smooth base for applying foundation over and just makes my face look a lot healthier - I'm very pale, naturally, so this just gives me a nice healthy, glow. It's also great for popping on when you cba applying a full face of make up but want to add a bit of 'life' to your skin. Have you tried any of these? What are your summer skincare must-haves?